Comment: We need ductwork to connect to an air vent, a new vent put in and a return put in. We were told that the plenum needs to be repaired. Please call Gary Lipkin to set up an appointment. Comment: I would like to get an estimate for installing a heating system with A/C in a new shed that was built behind my home. Lynn Air Conditioning Company, Inc.
East Texas Refrigeration Company, Inc.
Longview Heating & Furnace Contractors are rated 4.93 out of 5 based on 72 reviews of 7 pros. 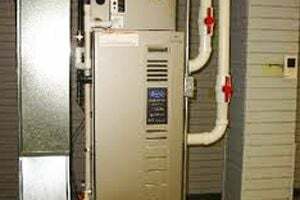 Not Looking for Heating & Furnace Systems Contractors in Longview, TX?